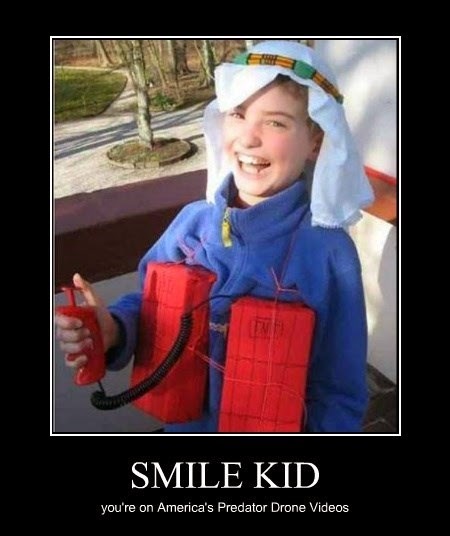 That kid is probably one of the few people who's reacting to terrorism the right way - by not becoming terrorized. The american government, on the other hand, is more than willing to send drones to kill american children because "Terrorism! ".